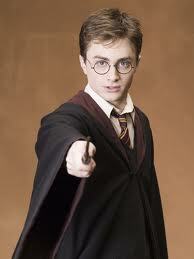 Celebrity English: JK Rowling is Back! Harry Potter’s textbook Fantastic Beasts and Where to Find Them is about to come to life! 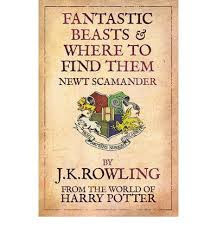 This extraordinary adventure is lead by the famous, magical zoologist Newt Scamander and fictional author of Fantastic Beasts and Where to Find Them. Newt’s adventure begins in the 1920’s or 70 years before Harry Potter. New York city is the place where it will all begin. The story is an extension of the magical world of the Harry Potter adventures and will be JK Rowling’s first screenwriting debut! 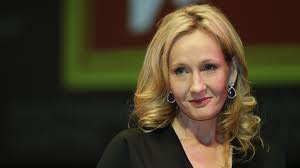 Warner Bros. announced on 12th September 2013 that J.K. Rowling would be making her screenwriting debut with Fantastic Beasts and Where to Find Them, the first in a new film series, which is part of their expanded creative partnership with J.K. Rowling. 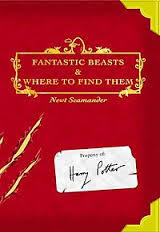 The films will be inspired by Harry Potter’s Hogwarts textbook of the same name, and will feature the book’s fictitious author, Newt Scamander. “It all started when Warner Bros. came to me with the suggestion of turning Fantastic Beasts and Where to Find Them into a film. I thought it was a fun idea, but the idea of seeing Newt Scamander, the supposed author of Fantastic Beasts, realized by another writer was difficult. Having lived for so long in my fictional universe, I feel very protective of it and I already knew a lot about Newt. As hard-core Harry Potter fans will know, I liked him so much that I even married his grandson, Rolf, to one of my favourite characters from the Harry Potter series, Luna Lovegood. Although it will be set in the worldwide community of witches and wizards where I was so happy for seventeen years, Fantastic Beasts and Where to Find Them is neither a prequel nor a sequel to the Harry Potter series, but an extension of the wizarding world. The laws and customs of the hidden magical society will be familiar to anyone who has read the Harry Potter books or seen the films, but Newt’s story will start in New York, seventy years before Harry’s gets underway. 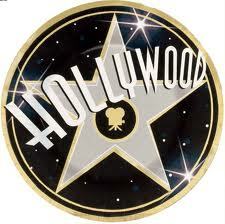 Best Wishes Wonderful Lady with your screenwriting debut! Looking forward to more of your sensational magical creations. First, try to write down the meanings or ideas for each word (s). Next, try to guess the meaning from the context of the words you didn't understand. Then ask a friend or classmate about the words that where difficult. Finally, check out the expressions on the Internet. However, the vocabulary definitions are below. screenwriting debut = screenwriting: also called script-writing is the art and craft of writing scripts for mass media such as feature films, television productions or video games. It is frequently a freelance profession. debut: the first time an actor, musician, athlete, etc., does something in public or for the public. fictitious author = an imaginary or not real author. author: a person who has written something ; especially : a person who has written a book or who writes many books. turning Fantastic Beasts and Where to Find Them into a film = to turn something into film - to make something into a movie. hard-core Harry Potter fans = hard-core: very active and enthusiastic; the most active, committed, or doctrinaire members of a group or movement. fan(s): (countable noun) a person who likes and admires someone (such as a famous person) or something (such as a sport or a sports team) in a very enthusiastic way. proposal = A plan or suggestion put forward for consideration or discussion by others; the action of putting forward such a plan or suggestion. an idea took shape = [for something, such as plans, writing, ideas, arguments, etc.] to begin to be organized and specific. ended up pitching my own idea = ended up: to conclude, turn out, become. to pitch someone - to attempt to promote, sell, or advance someone or something. prequel = [countable noun] : a movie, book, etc., that tells the part of a story that happened before the story in another movie, book, etc. sequel = [countable noun] : a book, movie, etc., that continues a story begun in another book, movie, etc. extension = [countable noun] : something (such as an interest or activity) that develops from something else. Ex. Writing screenplays was a natural/logical extension of his career as a novelist and his longtime interest in film. at all of these social media areas! Thank you very much Clara Adelin! Have a fantastic weekend!